which is in a tangible form, like a book, DVD, or recording. and which falls within the U.S. Copyright Act and other copyright laws. But not every type of original work can be copyrighted. literary works, including computer programs and other "compilations." All works must be preserved in some form in order for the owner to copyright them. Publication is not necessary for copyrighting, but your work must somehow be preserved or be able to be reproduced, to be copyrighted. The U.S. Copyright Office says you should consider this list in its broadest meanings. It's almost impossible to list all the specific types of works that can be copyrighted. Works that are not fixed in some tangible form of expression. For example, if you give a speech and it isn't recorded or if you don't have the speech written out, you can't copyright it. Works that are "common property" and have no original authorship, for example, standard calendars, tape measures and rules, height and weight charts, lists or tables taken from public documents or other common sources. Works that are in the public domain, for which the copyright has expired. Usually, this refers to works published before 1923. 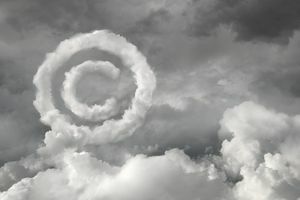 You can copyright original authorship on a website, including the artwork/logo, writing, photos, videos, basically anything on your website that can otherwise be copyrighted. Domain names are not protected by copyright law. The process for copyrighting online works like websites is a little different from copyrighting a non-changing work. Copyright protection is for a work already in place, while websites are ever-changing. The copyright office says, "...the registration should be limited to the content of the work asserted to be published on the date given on the application." Yes, this means you must continually update your copyright every time you add new information, like blog posts. It is unrealistic, but that's the way it is.